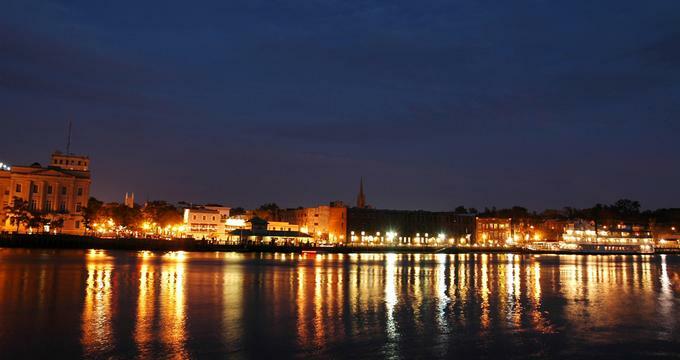 Wilmington, North Carolina is home to a variety of great restaurants serving culinary creations featuring fresh seafood, Southern soul food, Thai, Indian, Japanese, French and other flavors. Have a casual romantic lunch at a local café or brewery, or celebrate a special occasion at one of the elegant restaurants downtown. Here are the best restaurants in Wilmington. Cape Fear Seafood Company serves spectacular regional American seafood and an array of wine and spirits in a relaxed and casual setting. 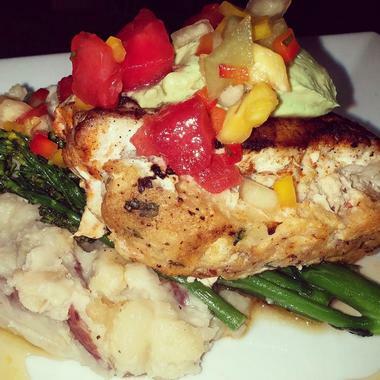 Specializing in regional American seafood, CSFC presents a menu of hand cut fish, seafood plates and platters, prime steaks, chicken, and small plates to share. Whether you choose the Figure 8 Stuffed Flounder (twin baked roulades of flounder stuffed with crab fusion and draped with lemon beurre blanc) or Wilmington's Finest Filet crowned with Gorgonzola butter and cabernet demi-glace, each bite will leave you with a lasting memory. Start with Bloody Mary Oysters or crab scampi risotto or share a grilled shrimp taco basket with friends and end on a sweet note with a traditional Southern key lime pie. 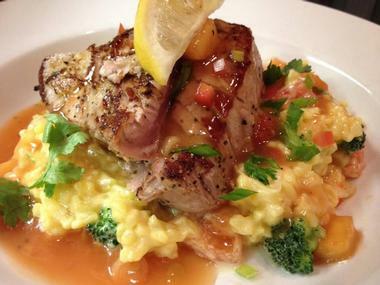 The Cape Fear Seafood Company can be found in two locations. Serving exquisite Thai-Vietnamese cuisine in a beautifully decorated environment, Indochine promises an authentic and unforgettable Asian dining experience. Take your taste buds on a culinary journey to the Far East as you savor the exotic flavors and ingredients found in each dish on the menu, from Vietnamese black peppercorn, ginger, and garlic to crushed basil, cilantro, and fresh mint. Accompanied by fragrant jasmine rice, entrées include a Happy Asian Medley of chicken, shrimp, beef, and scallops sautéed in a homemade soy sauce with ginger and garlic, grilled Salmon or mahi mahi with Asian fruit salsa and shrimp fried rice, and stir-fried steak in homemade soy-infused sauce with aromatic rice and vegetables. End your meal with a sweet banana egg roll served with vanilla ice cream, honey, and sesame seeds and a pot of delicious Jasmine Tea. 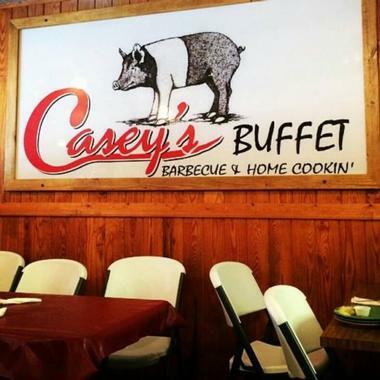 For classic Southern soul food and good home cooking, including everything from all-you-can-eat barbecue to chitterlings and fried chicken, head to Casey’s Buffet & Barbecue. Established in 2005 by Larry Casey, Casey’s Buffet is a family-friendly eatery that is committed to the Southern tradition of food and family going hand-in-hand. Casey’s lunch and dinner buffet menu leaves nobody wanting with a mouth-watering all-you-can-eat selection of meats, vegetables, salads, and bread, and you’ll find delights such as fried chicken, clam strips, rutabagas, black-eyed peas, pan-fried okra, sweet potato soufflé, chitlins, and mac-n-cheese. Desserts delight with choices like apple and blueberry cobbler, cherry cheesecake, and banana and bread pudding, just to name but a few. The restaurant is comfortable and cozy with classic diner décor – walls are adorned with framed photographs and articles, and the ambiance is vibrant. Casey’s delicious buffet can be eaten in or taken away, and they offer catering services for special functions and events. Winner of the coveted Wine Spectator Award of Excellence, Aubriana’s offers a fine dining experience and creative cuisine in a casually comfortable setting – enjoy dinner in the elegantly decorated main dining room or dine alfresco style on the lovely outdoor patio. Named after the original Chef’s daughter, Aubriana’s is owned by Ron Jackson and Carol Roggeman and led by Executive Chef Alex Succop, who brings his unique style and culinary perspective to each plate. Located in the heart of Wilmington’s historic Downtown Riverfront, Kabob and Grill offers diners Indian fine dining with a full-service bar. Owned by the Singh family, Kabob and Grill was Wilmington’s first Indian restaurant and continues to delight guests with fine Indian cuisine and outstanding service in a casual setting. The menu features authentic dishes from all over India from traditional appetizers of samosas and pakoras to soups, rotis, kabobs, which are cooked to perfection Tandoor-style, and succulent meat dishes. Try the Peshwari naan stuffed with cashews, raisins, and dried coconut or the delicious Haryali kabob of tender chicken pieces cooked in coriander leaves, mint leaves, green chilies, and served with yogurt and lemon. 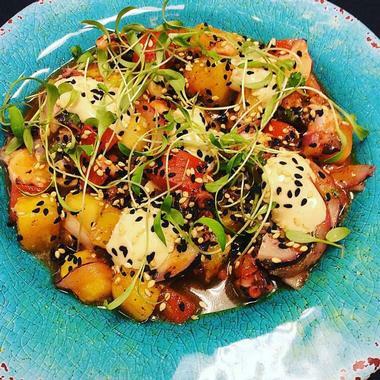 The menu also offers a variety of vegan and gluten-free options, and there is a full-service bar with an enticing wine and beverages selection. 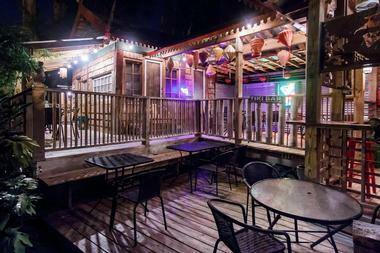 Patrons can also soak up beautiful views of the Cape Fear River from the outdoor patio. Roko Italian Cuisine is an upscale Italian eatery that serves a menu of Mediterranean-influenced cuisine in a casual, relaxed atmosphere. 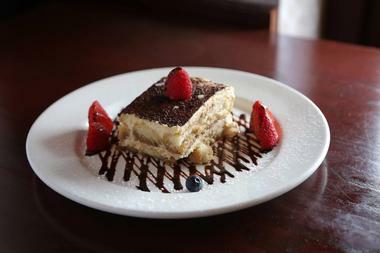 Owned by Chef Jadran Peros, a Croatian native who moved to the United States in 1985, Roko is dedicated to serving great Italian food that can be shared with friends and family. An enticing menu takes you on a journey through Italy with antipasti of calamari fritta, shrimp scampi, and stuffed artichoke hearts, followed by choices of Zuppa e Insalata (soups and salads) with caprese, arugula, and Caesar salads making the list. A fine selection of pasta is available, including homemade gnocchi, stuffed ravioli, and Frutti di mare, while entrées include parmigiana, filet mignon, and grilled wild salmon. Pair your fare with a selection of international wines from the wine list or one of their signature cocktails, spirits, or craft beers. Boasting two locations across town, Catch is a modern seafood restaurant that James Beard award-winning Chef Keith Rhodes and his wife Angela opened in 2006, and they have been serving outstanding seafood ever since. Striving to support North Carolina’s organic farmers, local fisheries, and sustainable fishing practices, Chef Keith Rhodes presents a menu of produce caught and farmed off the Cape Fear Coast. On the menu you will find creative dishes such as Red Miso Glazed Scottish Salmon served with wok-seared “drunken” rice noodles, bean sprouts, fresh coriander, and Thai basil, Cajun-fried North Carolina Oysters with Mindoro Blue Cheese Slaw and Texas Pete Aioli, and Pan-Roasted Oriental Back Fin, and Lump Crab Cakes served with White Truffle Mash and Pamlico Shrimp in a Cognac Bisque. Although seafood-orientated, the menu also offers meat and poultry dishes, with chicken, duck, and baby backs ribs making an appearance. Enjoy a pre-dinner cocktail at the convivial bar before feasting on some of the freshest seafood in town. 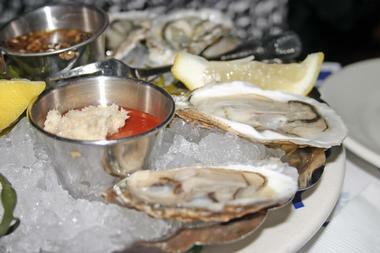 Dock Street Oyster Bar has been serving outstanding seafood since 1999 and has been voted as the Best Oyster Bar in Wilmington. Owners Steve Maillard and Louise Forbes Simpson take seafood to a whole new level, serving it fresh from the sea, and their catches are always grilled and steamed, never fried. Located on Dock Street overlooking Wilmington's bustling waterfront, the Dock Street Oyster Bar presents an array of seafood to impress even the toughest aficionado. Start with appetizers of crab dip, sesame ginger calamari, or fresh oysters followed by steamed snow crab legs, clams, or wild shrimp. 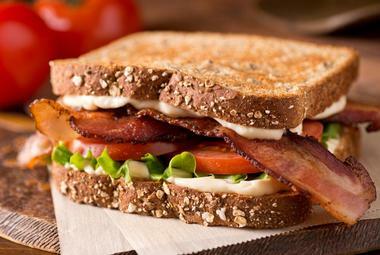 Freshly made salads and sandwiches are also available, and everything is served in a casual, laid-back ambiance. Home to the largest selection of whiskey in North Carolina and Wilmington’s only Restaurant & Brewery, the Front Street Brewery is a popular venue for casual lunches, laid-back dinners, and tasting tours with friends. 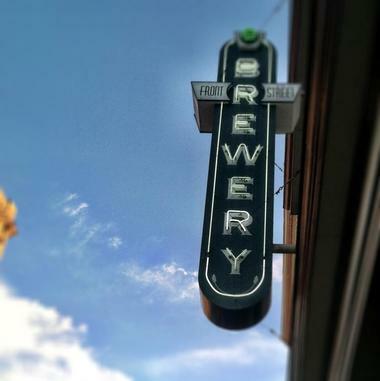 Located in Historic Downtown, the Front Street Brewery produces a range of microbrews and craft beers, and it stocks over 300 bottles of whiskey from around the world. The Brewery also serves a casual menu of tavern-style food, including gourmet burgers and sandwiches, soups and salads, and entrées of barbecue brisket, rib eye steaks, burritos, pulled pork, and a fresh catch of the day, which is available from 12 pm until 12 am every day. Visitors can enjoy free guided tours of the brewery to learn about the beer-making process, as well as free tastings of the brewery’s products. The bar comes alive in the evenings with both locals and visitors flocking to the counter to savor cocktails, fine wines, and some of the world’s best whiskeys. Genki Sushi is an award-winning sushi bar and restaurant on New Center Drive in the heart of Wilmington. Serving freshly made sushi, sashimi, and rolls made from the finest high-quality ingredients, Genki Sushi offers diners an authentic Japanese dining experience. At the helm is top Southeast Asian Chef Danny, who brings a taste of Asia to Wilmington with his innovative and inspiring Japanese cuisine. Appetizers include the usual offerings of spring rolls, tempura, Buri Kama, and yakitori, as well as unique dishes like chilled tofu with green onion, ginger, and shaved bonito and Monkfish liver in ponzu sauce. Obento, a popular entrée, is a set meal featuring grilled teriyaki or lemon salmon, sashimi, shumai, croquettes, and tempura served with rice or noodles. Another favorite is Tonkatsu, which is panko-breaded and deep-fried pork cutlets with sweet dipping sauce. You won’t go hungry as all entrées include a special appetizer and a choice of soup, house salad, kimchee, or pickles. 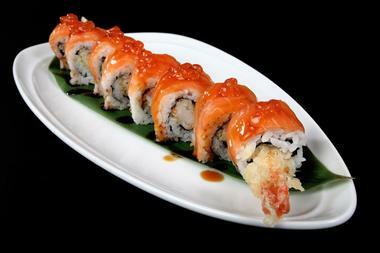 The regular sushi, sashimi, and rolls are available while desserts include various ice creams, sherbet, and coconut cake. Home of Wilmington's only Live Lobster Tank, Fish Bites Seafood is a family-friendly retail fish market and restaurant that serves fresh seafood in a laid-back setting. Enjoy a drink at the Bottoms Up Bar before tucking into some of the freshest seafood in town. Unique appetizers include Grouper Cheeks, Shrimp and Oyster Bombs, and Snow Crab Clusters, while the fresh catch of the day takes center stage on the entrée list, which they can prepare with a variety of cooking methods from grilled, pan-seared, blackened, broiled, or fried. Signature dishes range from Stuffed Flounder, Fish Bites Tuna Filet, and the Fisherman's Stew while baskets and platters can be enjoyed alone or shared. Fish Bites Seafood also has the largest selection of seafood in the area, and visitors can take their fresh seafood home to cook using their preferred method. Boasting three locations around Wilmington, Chops Deli is a locally owned and operated Boar's Head signature deli. This award-winning delicatessen serves high-quality food made from the best of Boar's Head meats and cheeses, fresh produce sourced from local farmers and producers, and freshly baked bread from the local Sweet & Savory Café. Fresh soups and salads are made on site daily and are available to enjoy in or take out. 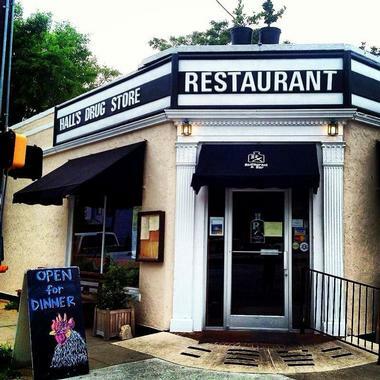 Garnering accolades for the Best Delicatessen and Best Sandwich in Wilmington as well as the Best Lunch and Best Homemade Soup in Wilmington, Chops is open for breakfast, lunch, and dinner from Monday through Saturday. Tucked away in Market Street, Caprice Bistro is a Parisian-style eatery that serves traditional French fare with an American twist. 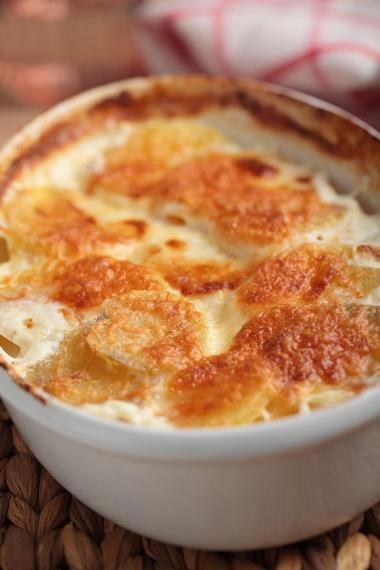 Cozy and comfortable in warm tones of dark wood and deep yellow, Caprice Bistro is casual and inviting with a fantastic French-influenced menu that will entice all patrons. From salmon rillettes and saucisse du jour (sausage of the day) to traditional French onion soup, moules marinere, and rich Coq au vin, diners will be transported on a culinary journey through France. For meat-lovers, the lamb shank cassoulet with braised tomato, garlic, and bean ragout or the Angus Beef Bistro Steak are a must, while small plates of tapas and pasta are perfect for sharing. 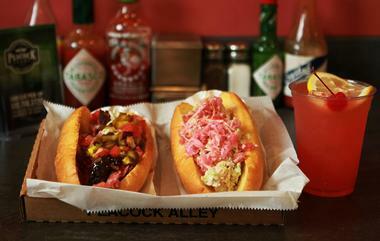 Charlie Graingers is renowned for its world-famous hot dogs and Southern cuisine. Founded in 1939 by Charlie Grainger and his wife, the original Charlie Graingers is located on 17th Street and features exposed brick walls, wooden flooring, custom-made décor, and a friendly, relaxed ambiance. Famed for their hot dogs, which can be enjoyed with a variety of toppings and sides, the restaurant has a menu that also features other classic southern-style dishes such as barbecue and brisket by the pound, house made sandwiches, and fresh sides of baked beans, slaw, and fries. Traditional southern drinks include homemade lemonade and iced tea, Pepsi, and Cola fountains. Located in historic downtown Wilmington, Copper Penny serves an innovative mix of appetizers, salads, and sandwiches along with an impressive selection of mixed drinks and beers. Boasting a relaxed atmosphere and casual décor, Copper Penny is ideal for a quick bite to eat or lazy afternoon drinks with friends. Offering weekly lunch specials and daily drinks and dinner specials such as Family Mondays where kids eat for free, Copper Penny’s menu has something for everyone. You’ll find a wide variety of selections, from a variety of homemade soups, salads, and starters of nachos, spring rolls, quesadillas, and sweet potato fries to towering burgers and handmade sandwiches served with thick cut fries and orders of flavorful sides. A selection of beers, wines, and specialty cocktails is offered to pair with your meal. Located in downtown Wilmington, Rx Restaurant and Bar combines southern charm and hospitality with hearty, home-cooked food made from locally sourced ingredients to create an inviting and friendly eatery. Nestled on the corner of Fifth and Castle, this little restaurant blends in beautifully with the surrounding neighborhood of modest and charming homes and quaint antique shops. Minimalist décor complements a menu of upscale comfort food that features dishes such as crispy buffalo pig ears with a celery and blue cheese dressing, smoked tilefish paté with fresh radishes and pickled carrots, and braised and pressed pork belly with smoked cheddar grits. 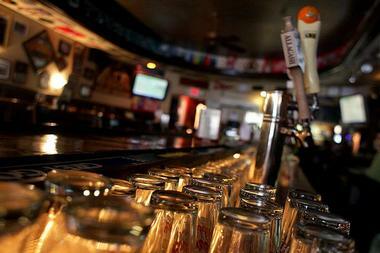 A cool beverages list offers a range of craft beers, international wines, and signature cocktails. More vacation ideas: 22 Best Things to Do in Wilmington, North Carolina.